On this shot, I played around with both color temperature and manual focus. 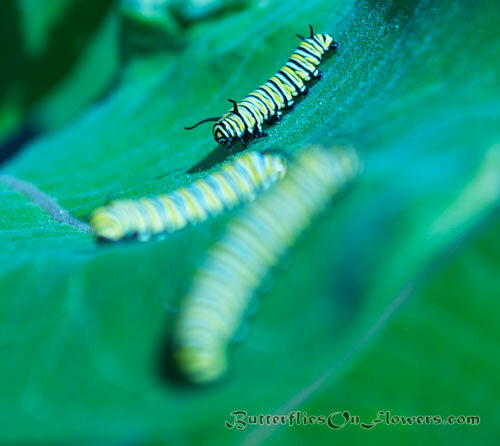 It's a bit easier to concentrate on camera settings with the caterpillars because they usually don't move too quickly unless they're being agitated...and they don't seem to have issues being in front of the camera since I offer a flashless experience. After they sprout wings, it's a whole new ball game as every moment spent fumbling with settings equals a missed butterfly photo opportunity. Caterpillar Facts: Every caterpillar has 8 pairs of legs. The first three pairs will later morph into the butterfly's legs.